This four day walk through North-East Lakeland from Keswick on Derwentwater to Pooley Bridge on Ullswater, will inspire you with some of the best scenery the UK has to offer. The itinerary is designed to get you to some great viewpoints and provide walks which are full of interest with the option each day to do something a little more challenging if you wish. We arrange comfortable accommodation in en-suite rooms at hotels and accredited guest houses on your route and we transfer your luggage so your bags are waiting for you when you arrive. Today's walk follows the quiet western shore of Derwentwater through the mixed woodland of Brandlehow Park to the pretty hamlet of Grange in Borrowdale. You will make an ascent of Castle Crag (985ft.) for superb views over Wainwright's "best square mile" in Lakeland and then descend to your accommodation in the village of Rosthwaite. 8 miles. 1150ft ascent / 1130ft descent. The day's hike begins with an ascent of Catbells (1891ft.) for stunning views over Derwentwater. You then continue along the ridge which rises first to Maiden Moor (1887ft.) and then to the summit of High Spy (2143ft.) 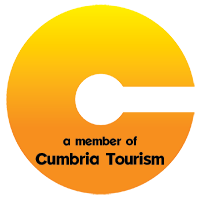 where you have an extensive view of the fells of the Northern Western and Eastern Lakes. Finally an interesting descent through the old quarry workings of Rigghead brings you to Rosthwaite. 8½ miles. 2550ft ascent / 2530ft descent. Following the route of the Coast to Coast you leave the confines of Borrowdale along the Stonethwaite beck towards the impressive Eagle crag. Crossing the watershed of Greenup Edge you then descend alongside Far Easedale Gill to the quintessential Lake District village of Grasmere. 7½ miles. 1985ft ascent / 2060ft descent. As for option A as far as Greenup Edge where you turn south to make an ascent of High Raise (2500ft). Returning to Greenup Edge, you cross to the head of Far Easedale before following a splendid ridge line over Calf Crag and Gibson Knott to reach Helm Crag above Grasmere. A final steep descent brings you to the door of your accommodation in the village. 9½ miles. 3025ft ascent / 3105ft descent. Today you cross the impressive Eastern Fells taking advantage of a rare breach in the ridgeline between the lofty summits of Helvellyn and Fairfield. This Lakeland pass known as Grisedale Hause with its pretty mountain tarn, was once an important trade route between the villages of Grasmere and those of the Ullswater Valley. Crossing the pass you descend the beautiful valley of Grisedale to reach your overnight halt at Patterdale or Glenridding. 7½ miles. 2125ft ascent / 1835ft descent. A sensational mountain day beginning with the ascent to Grisedale Hause from where you gain the main ridge-line of the eastern fells. A steep climb to the summit of Dollywagon Pike (2810ft) and a traverse of Nethermost Pike (2920ft) leads to Helvellyn (3118ft), England's third highest mountain. The climax to this great day is a descent of the stupendous Striding Edge, which requires some basic scrambling. 9½ miles. 3555 ft ascent / 3265 ft descent. A beautiful end to your North Lakes journey with a walk along the length of Ullswater known as the 'queen of the Lakes'. walking along the quiet Eastern shoreline of the Lake the walk first follows a high trail to Howtown then a quiet lane all the way into Pooley ridge. Sensational views are guaranteed. 9 miles. 1120ft ascent / 1120ft descent. A fitting climax to this North Lakes trek is this traverse of the High Street range, so named because the Roman road built around along this high ridge to link the fort of Ambleside with those on Hadrian's Wall. From Patterdale the trail first heads south east as it climbs up to High Raise (2634ft) then runs north along the ridge parallel to Ullswater, finally descending to Pooley Bridge. This is a tough day but rewarded with outstanding scenery and glorious ridge walking! 12 miles. 2990ft ascent / 2990ft descent. At the end of the walk you can take a bus or a taxi from Pooley Bridge to Penrith - a journey of 4 miles. Alternatively, if you are arriving by car we can arrange parking in Keswick and transfers back from Pooley Bridge (at extra cost). On each day there are two options - a relatively moderate walk and a more demanding alternative. They both reach the same place at the end of the day so you can mix and match as you go along depending how you feel when you set off each morning.